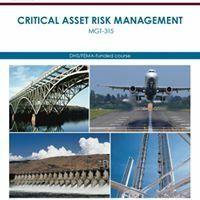 The Critical Asset Risk Management course helps participants answer those questions by teaching critical components of risk management. Through a combination of lecture, facilitated discussion, and group activities, participants will learn how threats, vulnerabilities, and consequences determine risk, and are given an opportunity to practice the fundamentals of conducting vulnerability assessments by conducting on-site assessments of select local facilities. Additionally they will identify potential mitigation measures associated with their findings and work together to develop and present a risk assessment report. This course meets Texas Commission on Law Enforcement (TCOLE) requirements for MGT315 Critical Asset Risk Management course #78407. GSA contract number: GS-07F-0357V. GSA customers, to register please contact law@teex.tamu.edu or call (800) 423-8433. 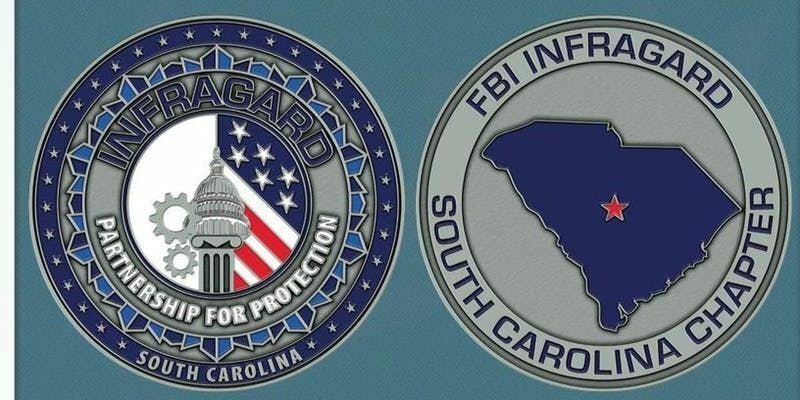 Please join us for the April 2019 InfraGard meeting. This event will take place on Wednesday, April 24, 2019 at McEntire Joint National Guard Base located in Eastover, SC. Doors will open at 8:00am for registration and networking. The topics covered will be : Active Shooter, Negotiation/ Crisis Management, and Zero Day Attacks. Because it will be held at a military base, please register and RSVP with Loyd McClary at lrmcclaryjr@fbi.gov for entry into the base. In this course participants will enhance their skills to formulate considerations for the resiliency of jurisdictional assets leveraging cross-sector partnerships. These considerations will enhance the whole community's ability to manage the risk associated with critical infrastructure protection efforts. The course will implement the National Preparedness Goal by facilitating the development of Resiliency Action Plans, involving all jurisdictional critical infrastructure partners. Upon completion of this course, participants will be able to increase infrastructure owner/operator participation in jurisdictional planning, organizing, equipping, training, and exercising critical infrastructure protection efforts. This course meets Texas Commission on Law Enforcement (TCOLE) requirements for MGT414 Advanced Critical Infrastructure course #78400. This class has been accredited by the Oklahoma Council on Law Enforcement Education and Training for eight hours of mandatory continuing education credit. Regarding any law enforcement concepts, practices, methods, techniques, products, or devices as might be taught, promoted, or otherwise espoused in outside schools or seminars, there is no intent, expressed or implied, that 'accreditation' indicates or in any way conveys 'CLEET approval' of such concepts, practices, methods, techniques, products, or devices, unless such approval is explicitly stated by CLEET. 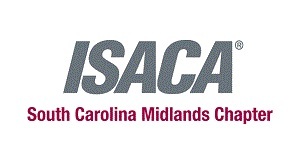 please add education@scisaca.org to your address book or safe list. Register 5 in one group, and get a $10 discount per person per day. The Army's 'cyber center of gravity' is at Fort Gordon. It's the home of the US Army Signal Corps, Cyber Corps, Cyber Protection Brigade, and the Cyber Center of Excellence. The Army headquarters beneath US Cyber Command, ARCYBER, is also in full-blown preparations to relocate here. So, if your product or service is cyber-related, Fort Gordon is where you want to be. The Fort's 2019 Cyber and Technology Day provides an excellent opportunity for IT, cybersecurity, and tactical technology-oriented companies to network face-to-face with the Army's key IT, communications, and cybersecurity personnel. With ARCYBER's relocation comes massive opportunity. Fort Gordon is currently expanding facilities and have diverse infrastructure needs that include a mass notification system, interior communications and information systems installation, secure- and non-secure network connections, and even fire protection and alarm systems. Plus, ARCYBER believes they cannot meet their objectives alone. They are dedicated to making industry partnerships to advance their work in cyberspace. They'll be looking to meet with you. Make sure you're there. Broadband and information technology are powerful factors impacting reach into new markets and increased productivity and efficiency. However, businesses need a cybersecurity strategy to protect both organizational infrastructure and customer data from growing cybersecurity threats. This conference, designed with both small and large businesses in mind, will teach businesses to mitigate cybersecurity risks and to identify and prepare for potential threats. It will also provide a primer on the economic impact of cybersecurity and how it can affect our state's infrastructure. Limited sponsorship opportunities are available. View sponsor levels here. For event sponsorship inquiries, please contact Sunny Philips at sunny.philips@scchamber.net or 803.255.2543. The 2019 Techno Security & Digital Forensics Conference provides a unique education experience that blends together the digital forensics and cybersecurity industries for collaboration between government and private sectors. It has grown into one of the most important resources for corporate network security professionals, federal, state and local law enforcement digital forensic specialists, and cybersecurity industry leaders from around the world. Conference sessions cover a wide range of topics that are vendor neutral, hands on, current and relevant to industry professionals. The 2018 conference program featured over 100 educational sessions led by more than 90 industry professionals from leading companies such as: Cisco, Experis, Department of Homeland Security, National Institute of Justice, New York University, Perdue University, State of Wisconsin Circuit Court, TD Bank, US Treasury, VATG, Inc., and Westfield. The 2019 full, interactive conference program will be available online in March. For a sample of what to expect, view the 2018 Event Guide. 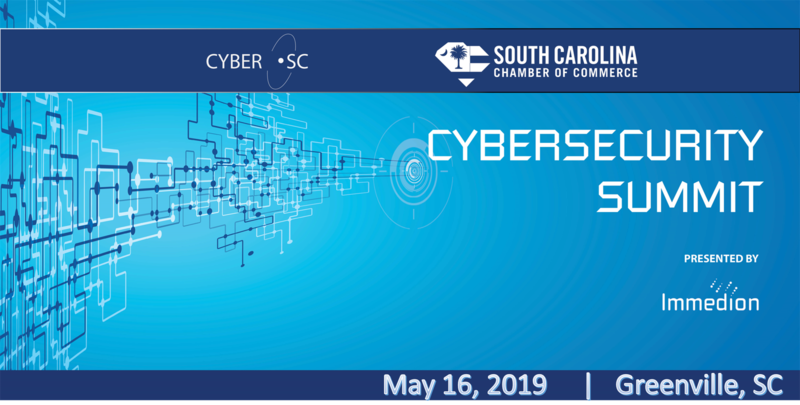 The SC Cyber Association , a 501(c)(6) non-profit that provides professional development and connection opportunities in the Palmetto State. The SC Cyber Foundation , a 501(c)(3) non-profit that provides funding for cyber education in the Palmetto State.